Cycling is one of the easiest, though strenuous, ways to lose weight. And especially exercise bikes in a gym or even at home. Joining a gym requires a great strength of will and determination. If this has been the root cause to your plans in losing weight, then you should perhaps change your approach. Focus on one object – one source to reach a realistic weight target. Like the exercise bike. Choosing the best exercise bike for weight loss over an actual bicycle may not be as rejuvenating, but it could be more effective. Exercise bikes offer calorie-burning workouts to aid weight loss. Working out a couple of times a week on an exercise bike can provide excellent benefits, both in terms of weight loss and overall fitness. Here in this article, we will help you to understand how to lose weight using the exercise bike and to choose the best exercise bike for weight loss. 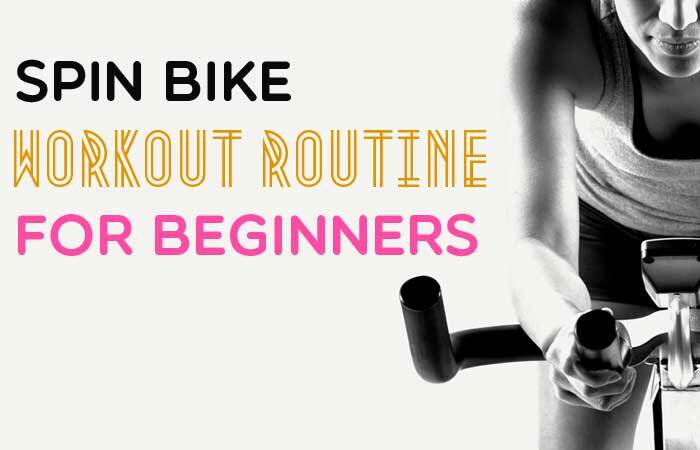 There are two options of exercise bikes – automatic or manual. The former is a wise option, as it will save you a little effort in the initial, hesitant period of your exercise regime. If you choose a manual bike, then you will have to set up higher and more stringent goals, lest it gets tossed in a corner for laundry. While choosing the best exercise bike for weight loss, it is important to keep in mind that there are a variety of brands and models all boasting different features, but the basics are the same. So choosing the best exercise bike for weight loss is a combination of basic principles and personal. There are mainly two different types of exercise bike, upright and recumbent. Both styles have their own advantages and disadvantages, but for many buyers, the choice will boil down to personal taste and the budget. The upright has a seat positioned straight so the person works out in an upright position, it closely simulates outdoor bicycling. While a recumbent bike has a reclined seat with a seat back providing more comfort and back support. Both are effective for increasing heart rate to burn the calories necessary for weight loss. 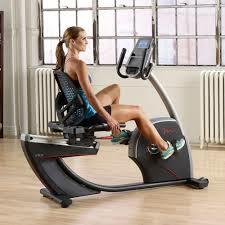 There are many types of Upright and Recumbent exercise bikes with different features and prices tags. Each bike offers multiple levels of resistance. Since individuals have different levels of fitness, the key is to test the bike for your personal requirements. Check for the reviews on the exercise bike and choose the best exercise bike for weight loss that’s most comfortable for you since this will impact the duration of your rides. So, once you have chosen the Exercise bike of your choice, Let’s understand how to use the exercise bike for weight loss. Here are few main tips. Right Location: Opt for a location in your room which is most suitable to your comfort. Perhaps in front of the television. Or in front of your windows which looks out into the lawn, giving you a feel of being outside and soaking up nature, while remaining indoors and getting the exercise you need. Whatever works best for you, choose it. Even if it means having to move it about until you find the perfect spot. Finding right time: Work it around your schedule where you can squeeze in at least 10 minutes of casual pedaling. The mornings are the best time to exercise, but in the initial days, you could opt for a lazier hour, perhaps after work in the evening. Also, each person works differently, some find better in the mornings and some at night. The point is to find the right time that suits you and your routine. If in the morning, wake up and have a glass of water or juice before you get on the bike, as you need to remain well-hydrated. If you prefer the evening, then avoid biking close to your bedtime as it might keep you awake for longer. Ideally, finish your workout, and have a good meal. In the mornings, this will help you sail through the day until lunchtime, or will allow you to have a hearty meal and get a good night’s sleep. Eating Right: If you can work out for a long duration, the amount of weight you can lose on an exercise bike is effectively limitless. But to use the exercise bike for weight loss your diet as well is an important factor. To lose weight you must burn more calories than you consume. Hence you also need to improve your diet by cutting out high-calorie items. It’s difficult to burn fat without dietary changes If you eat a sensible diet that supplies your normal daily calorie requirements, then most of the calories you burn while riding the bike will come from fat. The intensity of exercise: One of the keys to using an exercise bike for weight loss is to burn out fat and to work out regularly. Your workouts don’t all have to be high intensity, but repetition is the key. For example, if you are weighing 155 pounds, 30 minutes of adequate pedaling will burn about 260 calories, while a vigorous workout will burn approximately 390 calories. You lose 1 pound for every 3,500 excess calories you burn, so one hour of reasonable exercise on an exercise bike per day or about 40 minutes of vigorous work will help you lose about 1 pound per week. Bike Settings: If you have chosen the automatic bike, then you will have to be watchful of the settings you put. As per an exercise expert, Dr. Kenneth Cooper, you should be watchful of the intensity settings on your gym bike. Make sure the lowest setting provides sufficient tension with room to improve as you get stronger. Increased settings should increase your heart rate and higher settings should be able to challenge you to 85 percent of your maximum heart rate. For those under 50 years, your heart rate shouldn’t exceed 140 per minute for the first three weeks of your exercise regime. For those above 50, the heart rate should not be higher than 100 for the first three weeks of your regime and should be lower than 110 and 120 for the next five weeks, and beyond that, it shouldn’t cross 130. The last thing you want to do with trying to lose weight is to try and pump life back into your heart. Calls for unprecedented and unnecessary drama. You are your own seamstress, so tailor your exercise outfit in a manner that you are able to find time to be active, stay healthy and live healthily.